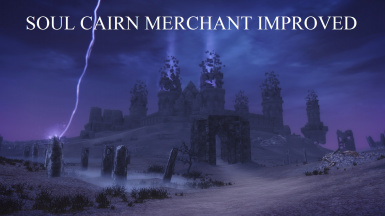 Modifies and improves the rewards from the encounter with the merchant Morven Stroud in the Soul Cairn. ....just another worthless, randomly generated generic item like you can find in any of the chests that are scattered all around you. 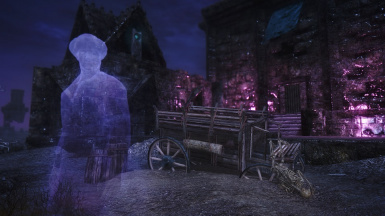 This mod will alter the Soul Cairn Merchant encounter inside the Soul Cairn, changing the reward item that is received from the NPC Morven Stroud. In the vanilla game all items that you can receive from Morven Stroud are no different than items you can receive from opening any random chest, which are everywhere in the Soul Cairn. Items that are generic, uninteresting and almost certainly of little to no value. This potentially leaves the Soul Cairn Merchant encounter lacking a purpose. With this mod installed, instead of receiving a random generic item with a destiny of being vendored, you will receive a unique item based upon the choice that you make. The encounter with Morven Stroud can hopefully have some purpose and substance now. After turning in your soul husks to Morven, he will inform you of the items that he has for sale. 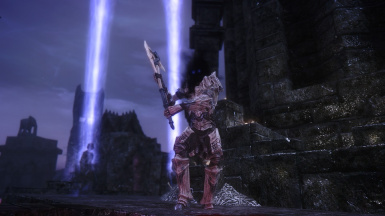 A Sword: You will receive "Sword of Lost Souls," a unique sword, in either 1 handed or 2 handed variants. An Axe: You will receive "Axe of Lost Souls," a unique Axe, in either 1 handed or 2 handed variants. Heavy Armor: You will receive "Morven's Cracked Shield," a unique heavy shield. Light Armor: You will receive "Morven's Splintered Shield," a unique light shield. A Spell Tome: You will receive "Spell Tome: Conjure Keeper," a unique new spell. 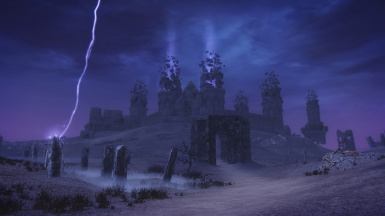 Conjure Keeper is a new expert level spell in the Conjuration school that will summon a Keeper from the Soul Cairn to serve you for 60 seconds. All items are leveled, and depending on your level of experience you will get the appropriately leveled item. The most powerful items are equal to daedric items in stats, and can only be received if you are above level 40. There are two versions of the mod to choose from. The main file is the unenchanted version, and all weapons and armor are unenchanted, i.e. they have no enchantments. The other choice is the enchanted version, where all weapons and armor have enchantments. The swords and axes have the "Soul Trap" enchantment, with the higher level weapons having the higher level enchantments. The shields have a randomly generated enchantment, either fire, frost, or shock resist, and the strength of the enchantment again depends on the item level of the shield. All weapons and armor can be tempered at a grindstone or workbench with the appropriate materials. Duel Sheath Redux Support is available in the optional files section. WARNING: This mod requires starting a new game, and will not take effect if installed mid play-through. All models and textures were created by Billyro, who's work is always amazing and who deserves all credit.